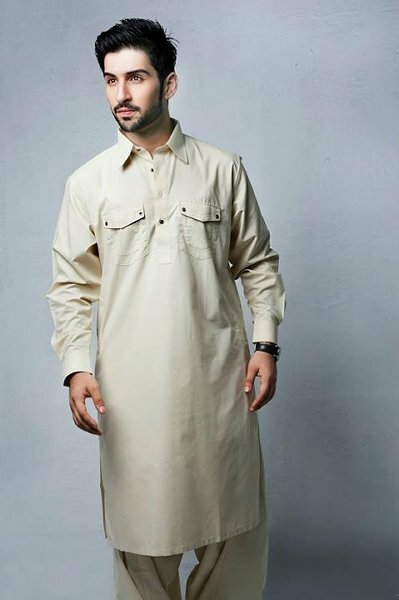 Shalwar Qameez is a traditional dress of Pakistan ,which is commonly worn by both ladies and gents.Basically origin of this dress is South Asian countries and Iran,Afghanistan ,some post soviet states .Styles differ by gender. It is a pair of tow different garments which have been combined to form an outfit , Qameez( also spelled kamees)a body shirt ,and Shalwar (also spelled salwar) a Pantaloon/drawers. Ladies mostly take Dupatta(shawl, hijab) to cover their head and shoulders.